Renowned for his literary style as well as his musical scholarship, Nicolas Slonimsky wrote many program notes and articles for newspapers and other periodicals, in addition to his well-known books. These shorter writings, edited by Slonimsky's daughter, Electra Yourke, are collected for the first time in this excellent introduction to the classical repertoire, from Bach to Shostakovich. 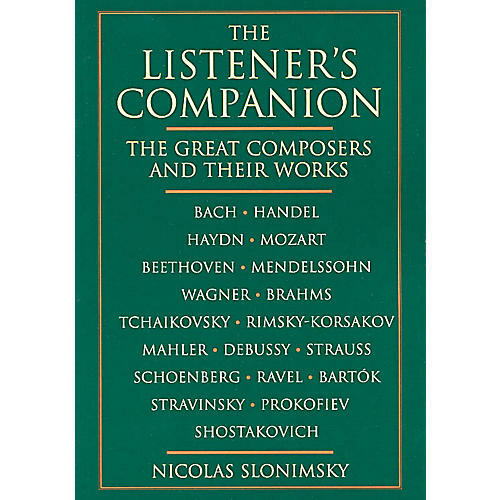 Arranged chronologically by composer, the chapters begin with biographical sketches and go on to describe some of each composer's most popular and imporant works.